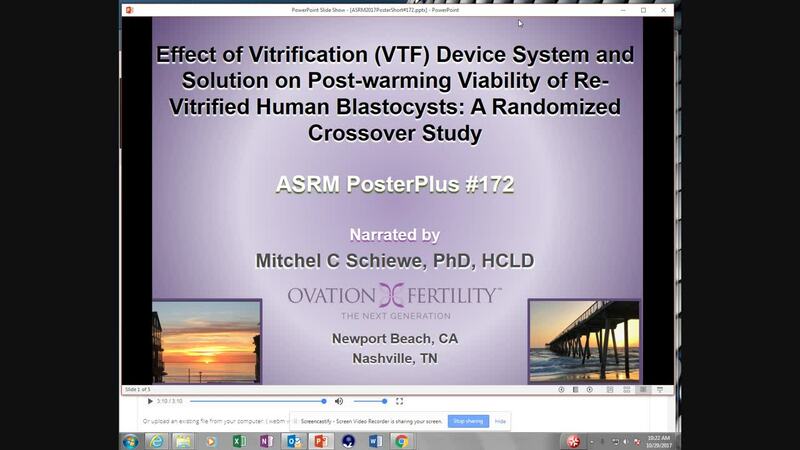 OBJECTIVE: We have shown that human blastocysts (BL) are resilient to re-vitrification (rVTF) up to 5 times using microSecure (µS) VTF, as well as extended room temperature exposure up to 10 min in 3 different commercial VTF solutions (30% EG/DMSO; 32% EG/PPG and >7.9M Glycerol (G)/EG). 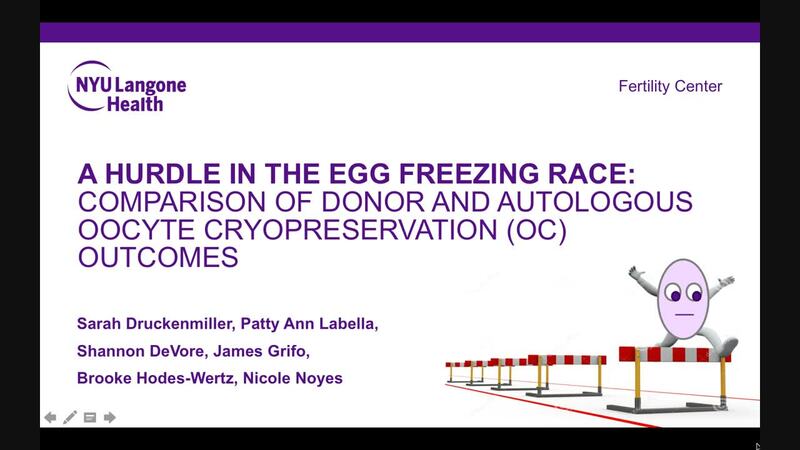 The purpose of this investigation was to better understand the interrelationship between cryophysical and chemical factors on the efficacy of BL-VTF. DESIGN: Research consented BL (N=164) in 2 laboratories (Lab 1 and Lab 2) were randomly assigned to a 2x2 factorial design: closed/µS-VTF (used by Lab 1) and open-Cryolock (CL; used by Lab 2) devices, and G/EG (I.C.E. ; Lab 1) or EG/DMSO (15%/15%; made in Lab 2) cryoprotective solutions. Up to 2 BL were vitrified per device (n=41/treatment group) and then rewarmed for viability determination. Differences in survival percentage and 24h development was statistically compared by Chi-squared analysis (p<0.05). MATERIALS AND METHODS: Vitrified BL (≥3BB quality) were subjected to standard, rapid µS (Lab 1) or CL (Lab 2) warming and then cultured in Global medium (LifeGlobal) under tri-gas, humidified conditions (37oC). Upon equilibration (<2h), BL were randomly assigned to a rVTF treatment group. All BL were then vitrified using a standard device-solution VTF protocol, and subsequently warmed accordingly, re-equilibrated and cultured for 24h. Assessment of embryo survival was performed at 0h, 2h, and 24h (i.e., continued development) post-warming for all treatment groups. RESULTS: When comparing device-solution treatments, significantly fewer EG/DMSO embryos survived in µS devices, while both crossover treatments exhibited equally reduced 24h development (see Table). Overall, there was a technical signature observed between Labs, as more (p<0.05) BL developed in Lab 1 (66/80; 82.5%) in contrast to Lab 2 (54/84; 64.3%). CONCLUSIONS: Lab 2 technician familiarity and experience with the µS-VTF system and G/EG solutions may have had an effect, while Lab 1 staff had more proficiency with their crossover treatments (i.e., CL and EG/DMSO use). Alternatively, the observed results may be correlated to the lack of resiliency by DMSO-exposed BL to rVTF under different conditions, as the Lab 2 control group did excel. More investigation is needed to explain why CLxG/EG-treated BL exhibited significant damage. Additional trials and increased sample sizes are needed to fully discern the treatment effects of differential vitrification exposures and device systems.